Is that Romanian president, Basescu? 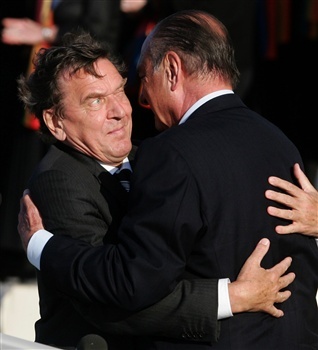 Bobby:: On the left side is former German prime minister Gerhard Schröder. The other “guy” is french president Jacques Chirac.